Keith Knudsen was playing drums with The Doobie Brothers when I took this photograph. Since he's a drummer (one of two in The Doobie Bros), it's hard to find video that highlights him. Luckily I found this awesome video of Southern Pacific, the band Keith and fellow Doobie John McFee formed after the Doobies disbanded in 1982. 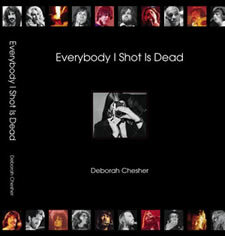 Everybody I Shot Is Dead.